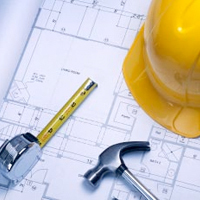 Avail Engineering is an experienced electrical contractor located in Southern California. Our team of experts has managed complex projects across the Western United States. Our experience ranges from low voltage data projects to complex healthcare expansions. We understand the due diligence, planning and financial investment required during new construction, facility expansion and the continued maintenance of our client’s facilities. Avail Engineering is built around the expertise of our team leaders and our internal structure and company philosophy is designed to provide the best and most cost effective solutions for our clients.